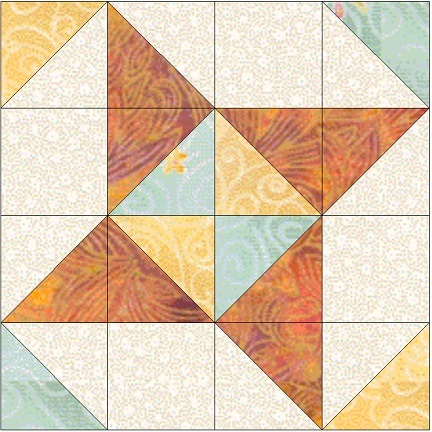 First, mark your background 3 7/8 inch squares and two of the gold 3 7/8 inch squares diagonally through the center. (This will be a cutting line when you are finished.) Place a green square, right sides together, with the background. Sew on either side of the drawn line, exactly 1/4 inch from the first line. Cut this square in half on the cutting line. 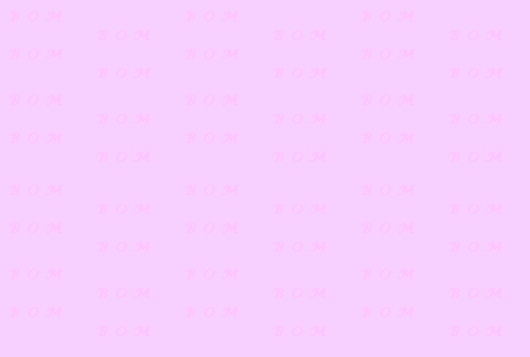 You will now have two diagonal half-squares, which should measure exactly 3 1/2 inches. Press all to the darker side of the block. 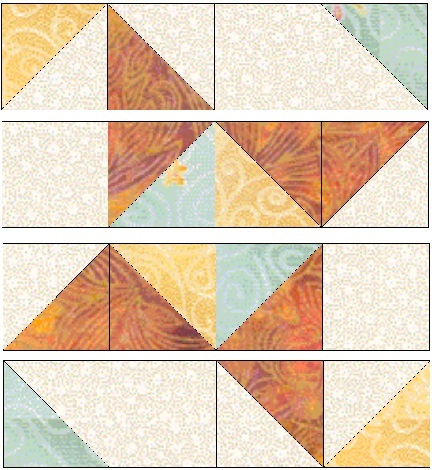 You will need a variety of diagonal half squares. 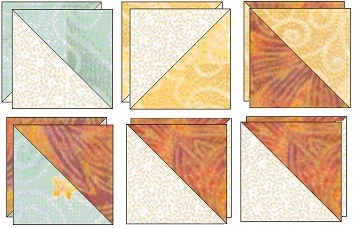 From the following 3 7/8 inch squares you will make two diagonal half squares each: One brown and gold, one green and gold, one green and background, one brown and background and two gold and background. Following this diagram, assemble your Next Door Neighbor block. It should measure 12 1/2 inches when finished.